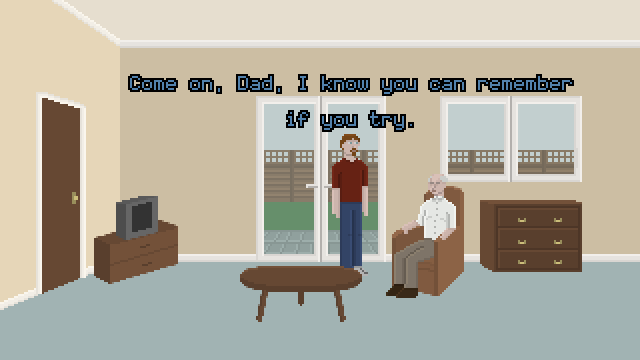 A short point-and-click adventure, exploring how we cope with the loss of our memories. After losing his beloved wife, an old man seems to be forgetting about her. With the help of an old photo, can his son remind him of the good times they once had? Find out more and download here! I've just uploaded a new version with a fix for a bug in one of the puzzles. The puzzle itself has also been slightly altered to make it play better.